Robert is the Managing Partner at Mills Shirley LLP providing legal services to individuals, companies and local governments regarding compliance or disputes involving breach of contract, commercial and residential construction, premises liability, professional negligence, employment, real-property, property tax, maritime, residential tenancy, and personal injury. Although Robert represents clients across the state, he primarily practices in Houston, Galveston and the surrounding counties. Texas Super Lawyers recognized Robert seven times, 2010 through 2016, as a Rising Star. He was voted the Outstanding Young Lawyer of Galveston County for 2009-2010. Robert currently serves as a member of the Board of Directors for Texas Association of Defense Counsel, a statewide organization of civil defense trial lawyers. He served two terms as the elected representative for Galveston, Brazoria and Fort Bend county lawyers to the board of the Texas Young Lawyers Association, a division of the State Bar of Texas. Robert is active in local organizations and legal communities, having served as President of the Galveston County Bar Association and the Galveston County Young Lawyers Association. He is a member of the Galveston County Mediation Board, overseeing distribution of public funds to support free and low cost mediations to persons with need. 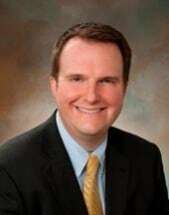 He is currently the Vice President of the Galveston Bar Foundation, a 501(c) (3) non-profit promoting education and appreciation of the legal profession. Robert, his wife Amber, and their two children live on Galveston Island. He is an avid runner having competed in the Chicago and Houston Marathons. Robert took over representation of defendant one-week before trial in a suit alleging more than $200,000 in damages arising from construction of a condominium on Galveston Island. At trial in August 2016, the Judge granted directed verdict against the major claims and some post-trial briefing, our objections and entered a take-nothing judgment favoring our client. Robert represented two defendants against premises-liability and negligence claims. Before trial, the Judge granted summary judgment in favor of one his clients. At trial in May 2016, the jury found no liability regarding Robert's other client. The final judgment resulted in plaintiffs taking nothing from Robert's clients. Robert appeared on behalf of plaintiff less than a month before trial of a dispute involving breach of contract and specific performance. After trial in May 2016, the Judge entered a judgment favoring Robert's client by ordering specific performance of sale of a commercial property, and awarding actual damages of $425,000.00 and recovery of Robert's attorney's fees. Robert took over as lead attorney representing defendants against claims for breach of contract, fraud, violations of the Texas Deceptive Trade Practices Act securities violations, violations of the Texas Securities Act and statutory stock fraud, negligent and fraudulent misrepresentation, breach of fiduciary duty, conversion, fraudulent concealment and civil theft. After trial in January 2015, the Judge entered a favoring Robert's clients by ordering that plaintiffs take nothing from their claims and ordering the opposing party to pay for Robert's attorney's fees. As lead attorney on appeal, Robert obtained an opinion and order from the Houston Court of Appeals affirming the trial court's judgment in favor of Robert's client. 01-15-00305-CV; Bacon Tomson, Ltd., et al. v. Chrisjo Energy, Inc. et al. ; in the Court of Appeals for the First District of Texas. Robert, as lead attorney, arrested a bare boat charter vessel on a novel theory involving ownership of the bunker fuel. The arrest and subsequent trial court judgment was upheld by the 5th Circuit Court of Appeals. Robert, as lead attorney, represented defendants from claims for conversion, trespass to chattels, breach of contract, alter ego, fraud, theft liability act, and breach of fiduciary duty. Robert's clients were ranchers that filed counter claims obtain rights to millions of dollars' worth of prized cow genetics. After trial in April 2014, the Court awarded Robert's client possession of the prized genetics and ordered the opposing party to pay Robert's attorney's fees. As lead attorney, Robert represented defendant from personal injury claims involving alleged exposure and burns from an industrial chemical. At the jury trial, Robert prevailed when the Judge granted a directed verdict against the opposing party claims. The case was not appealed.